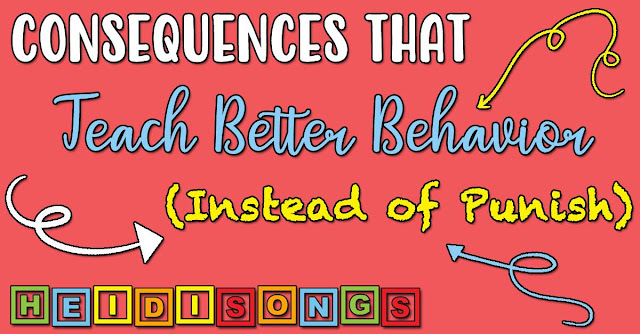 Learning to sound out words can be really hard for some children to master, especially in Kindergarten. 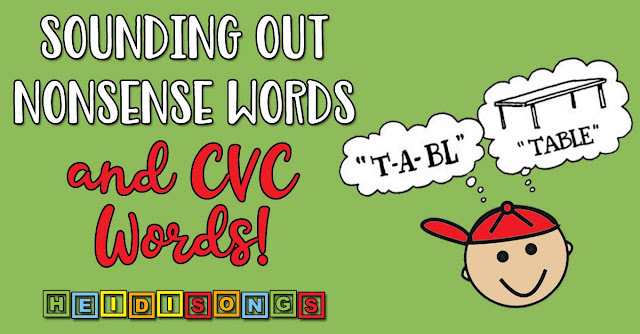 My district now has the children tested not only on sounding out CVC words as before, but also nonsense words as well. Here are some methods that I have come up with that work really well for me. One thing to keep in mind is that certain consonants will be easier to start with than others, since they can be drawn out. These consonants, called “fricatives” (as opposed to “stops”) include the following: f, l, m, n, r, s, v, and z. The sounds of /th/ and /sh/ can also be included in this list of fricatives, but since they must be read as digraphs (two consonants that form one single sound), they are not great ones to start with unless you are working with the children on blending strictly as an oral activity, without showing them any letter cards. I usually start early in the school year having the children practice blending just two sounds together orally. 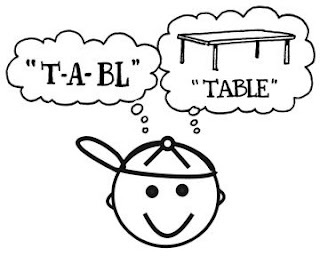 It’s a good idea to practice blending without any letters in front of them, too, strictly as a phonemic awareness activity. This sets the stage for reading the words at a later date. 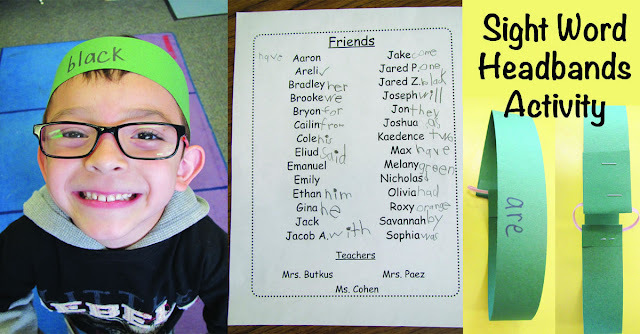 There are several games that I have used successfully with my class while teaching them to sound out real and nonsense CVC words. One game that my kids LOVE is "The Queen Game." For this game, you will need a large white board; ours is a white board easel and that works great. First, on one side draw YOUR head with a crown on it, and tell the kids that you are "the Queen," and write the word "Queen" above it. For extra fun, buy yourself a tiara and wear it while playing the game. :) Then, on the other side of the board, draw 3-4 children's faces and write "Kids" above them, telling the kids that these are all of the kids in the class. Now the fun begins! Show the kids a nonsense word and have someone try to sound it out. If they get it right, the kids get a point. If they get it wrong, the queen gets a point. Somehow, the queen always loses and is a very poor sport! She cries and cries! But the queen gets a point if someone is talking out of turn, or being naughty, etc. The queen also gets a point if she is in a bad mood. Basically, the queen doesn't play fair, but always loses, and makes a big crying deal out of the fact that she always loses. The kids think that this is hilarious! However, my class this year has been having a hard time grasping the whole nonsense word thing, and some of the kids started just refusing to try, letting the queen have the point. After that, we changed the rule so that the kids must only TRY to get the point. If they refuse to try, then the queen gets a point. That worked a little better. We also played the same game with Tic Tac Toe. If they try to sound out the word, then they can put either an X or an O on the board. (It's boys against girls!) Actually, just watching them reason through the game of Tic Tac Toe is pretty hilarious! Some of my kids this year just don't get it! Here's another game: Just have them sound out a word, (or at least TRY to sound out a word!) and then throw that child a ball as a reward. I have collected several different types of fun balls to throw to them. 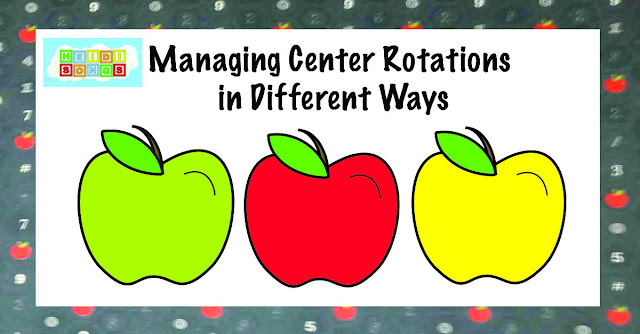 That game is also “a hit,” and can be used with drill and practice for any concept. Something else that really works well is getting the "Really Good Stuff Word Blending Desktop Pocket Chart and Stand" from reallygoodstuff.com. 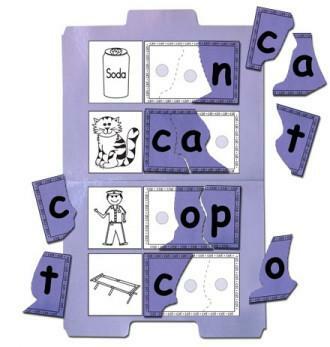 This little triangular shaped chart can sit in the teacher's lap very easily, and it comes with large alphabet cards and four slots to put them in. By changing just one card, you come up with a related but different nonsense word. Of course, some of the words turn out to be real. I just stuff lots of blue consonant cards in the first and third pockets, and lots of red vowel cards in the second pocket. There is a storage pocket on the back of the chart, so if you want to remove a certain hard letter, it is easy to just stick it in the back. There are actually four pockets in the front so that you can do CCVC words also, etc. The chart was only $17.99 and worth every penny! It came with the letter cards, too. It also folds down flat for easy storage, but the truth of the matter is that I use it so much we never seem to put it away, at least this time of year anyway! 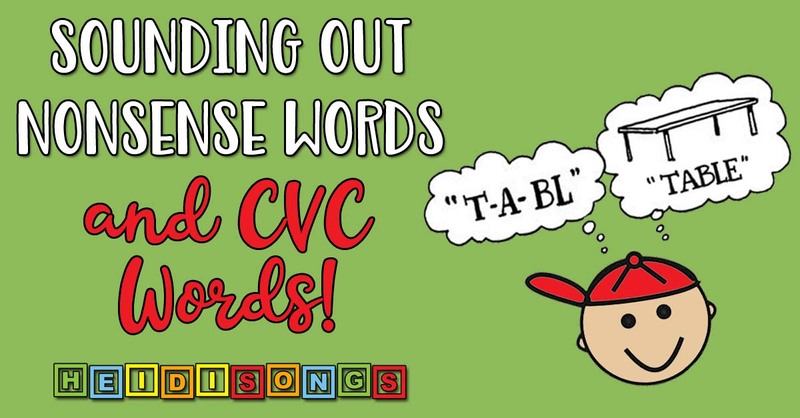 One problem with using this method is that the kids do tend to memorize the CVC words in the book, and those without any phonics skills tend to look just fine on their report cards, so practicing with nonsense words is essential, especially if you also use my sight word songs. 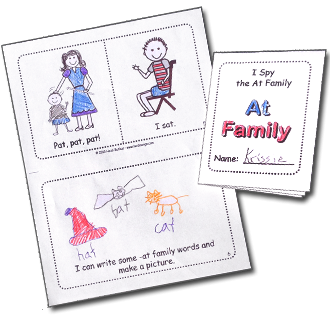 The kids pick up the sight words so easily when you put them to music, and then they memorize the CVC words with the flash cards and worksheets. The problem is that when they get older, you find that there is a gap in phonics skills and they can't sound out the multi-syllabic words. So the whole nonsense word thing has to be addressed, unfortunately! This is the first year that we have been required to teach this skill. It sure can be hard for the little immature ones! It kind of makes me sad for them, as it used to be alright to be a Kindergartner that couldn’t yet read, and that is just not the case anymore. Color by Nonsense Word Worksheets! I love your post, its interesting. Interesting post just I like it.